The first part of the Patriotic Gemstone series covers Alabama, Alaska, Arizona, Arkansas, California, Colorado, Connecticut, Delaware, Florida, and Georgia state rocks, minerals, and gemstones. Don’t see your state? Check out this page to read the rest of our Patriotic Gemstones series! Alabama, often known as “the Heart of Dixie,” provides several opportunities for anyone interested in representing their association with the state. Alabama can boast of an official state gemstone, mineral, and rock! Ceylon quartz is an assembled gem. Sometimes, specimens will display amphibole mineral inclusions. These are minerals are often associated with feldspar. What’s fascinating is that they also work to produce an asterism effect in gemstones. This presents the cat’s eye and star seen in some gems such as moonstone, ruby, and sapphire. Alongside deposits of coal and limestone, this enabled the city of Birmingham became a powerhouse industrial center. This lasted until 1975 when it became more cost-effective to import better quality ore from outside the state. A notable symbol of industry, the Roman god Vulcan was cast from hematite iron ore mined within the state. It stands at the top of Red Mountain outside the city of Birmingham. Alabama marble, originating from Talladega County, is known for its excellent texture and milky whiteness. Operations have been in place for nearly 200 years to quarry the material. It has been used in buildings and monuments throughout the state, but also the entire country! Alaska is known as “The Last Frontier.” And within this frontier state, a wealth of gems and minerals are found! The state of Alaska has a long tradition of contributing to the gem and mineral trade, with the gold rushes of the late 19th century being the most famous. Learn about jade through our Education Center. While already well-known for their important deposits of gold, you might be surprised to learn that this wilderness state possesses a healthy supply of jade. Now, jade is a generic term that can refer to several types of related materials. Alaska is specifically home to nephrite jade. Native indigenous people collected this stone before Western exploration. They traded it alongside other, more familiar materials such as furs and metals like copper. Jade became the official gemstone of Alaska in 1968. Primarily, Alaskan jade can be discovered in river beds as smooth, rounded boulders, with a brown coating surrounding the colored stone. The coating is the result of weathering from being washed through the rivers of the state. The presence of gold is intertwined within the history of this great state and its ongoing identity. The name given to these periods of activity is known as gold rushes, with the majority being grouped together as the Klondike Gold Rush, during the last decade of the 19th century. Even today, the promise of gold draws many would-be prospectors and tourists to the state. Over 32 million ounces of gold have been mined within the state! An official rock for the state does not exist, and not every state in the union recognizes one. Besides the presence of jade and gold, copper has played an important role in the history of Alaska. Alaskan Natives, such as the Inuit, traded raw copper ore alongside other items such as fur and animal hide. During both World Wars, copper was mined to support the effort. A high-grade deposit near McCarthy was mined between 1900 – 1938. Behind gold and copper, sand and gravel rank as the third most important non-energy commodity. Known as “the Copper State,” it should come as no surprise to learn about the role this metal has played in Arizona’s legacy. Sleeping Beauty turquoise is a gem from Arizona. 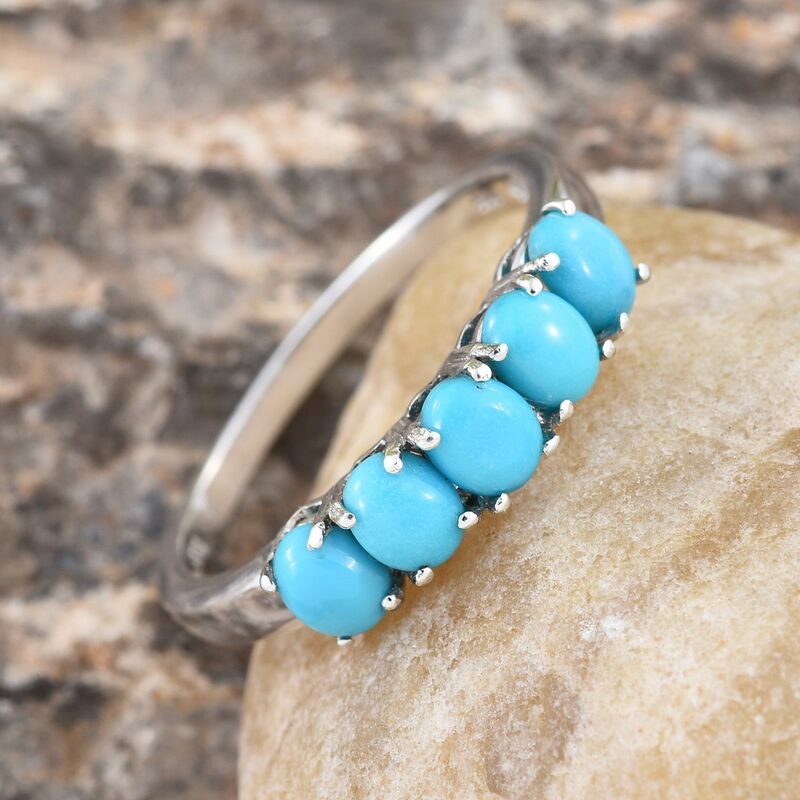 The state is world-famous for its production of this gem, with such famous examples as Sleeping Beauty turquoise, Mojave turquoise, Kingman turquoise, and much more being produced. Most varieties of this gem from the state are named after the mine they are sourced from, as a significant amount of variation exists between specimens. The importance and value of turquoise go back hundreds of years, and many Native American tribes hold turquoise in high regard as a sacred gem. Another unique stone from here is Anthill Garnet. As the name suggests, ants excavate the tiny jewels while burrowing their tunnels. Rain and other weather move the stones to the base of their mounds, where Native Americans have collected them for generations. Did you know that Arizona mines up to 60% of the total copper production of the United States? Copper is so important to the state, that its nickname, “the Copper State,” is based on this fact. Since the Spanish exploration of the area in the 1600’s, the quest for precious metals existed. While silver was long the desired find, innovative miners of the mid-1850’s began hard-rock mining ventures. In addition to silver, these efforts produced copper, lead, and zinc. In modern times, copper is the primary metal produced by the state, with hundreds of mines, smelters, and processing facilities dotting the landscape. Though no official rock is recognized by the state, Arizona considers petrified wood to be its official fossil! Within the park and surrounding is one can find one of the largest and most significant deposits known in the world! Petrified wood is polished and used in beads and cabochons for jewelry, such as peanut wood jasper. Known as “the Natural State,” Arkansas’s nickname proves apt. Filled with a wealth of natural resources, discover more about their gems, minerals and more below. Diamonds occur in other colors, like red. First discovered around the beginning of the 20th century, they were found near the mouth of Prairie Creek. For many years, efforts were made to turn the discovery into a successful commercial venture, all eventually failing due to various setbacks. By the 1950’s the property had changed hands several times and was operated as a private tourist attraction, and eventually became the Crater of Diamonds State Park in 1972. For a small fee, visitors can hunt for their very own diamond gemstones! Well-known as one of the most abundant minerals on Earth, quartz is the official state mineral of Arkansas. Nicknames “Arkansas Diamonds,” the quartz mined within the state is primarily used in electronics manufacturing. The material from Arkansas is frequently compared to that of Brazil, who is the top commercial supplier in the world. Just as with the state’s diamond park, it is possible to go hunting for these unusual natural stones on your own. Bauxite ore is a primary source of aluminum, and it is mined for this purpose. Mined bauxite ore is processed into foil sheets and soft drinks. Arkansas is home to the largest deposits of bauxite within the United States. As one of the largest states in the union, California is home to a wealth of natural resources. The Golden State boasts an official state gemstone, state mineral, and state rock. California was also the first state to appoint an official rock. Benitoite in its rough form. Benitoite is a very rare blue gemstone. In fact, a gem-quality material has only ever been identified in California, leading the state to make it their official gemstone in 1985. The stone is named for the San Benito River, as it was first discovered around the headwaters in 1907. 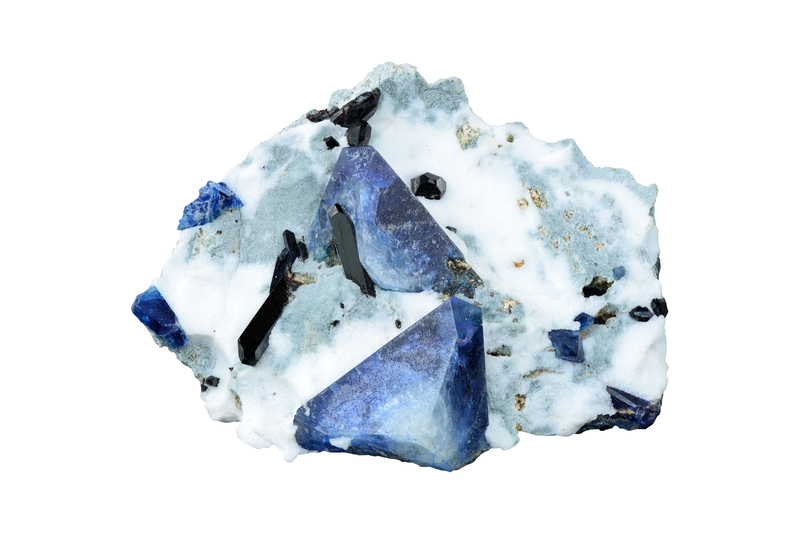 As a mineral, benitoite has only been identified in California, Arkansas, and Japan. 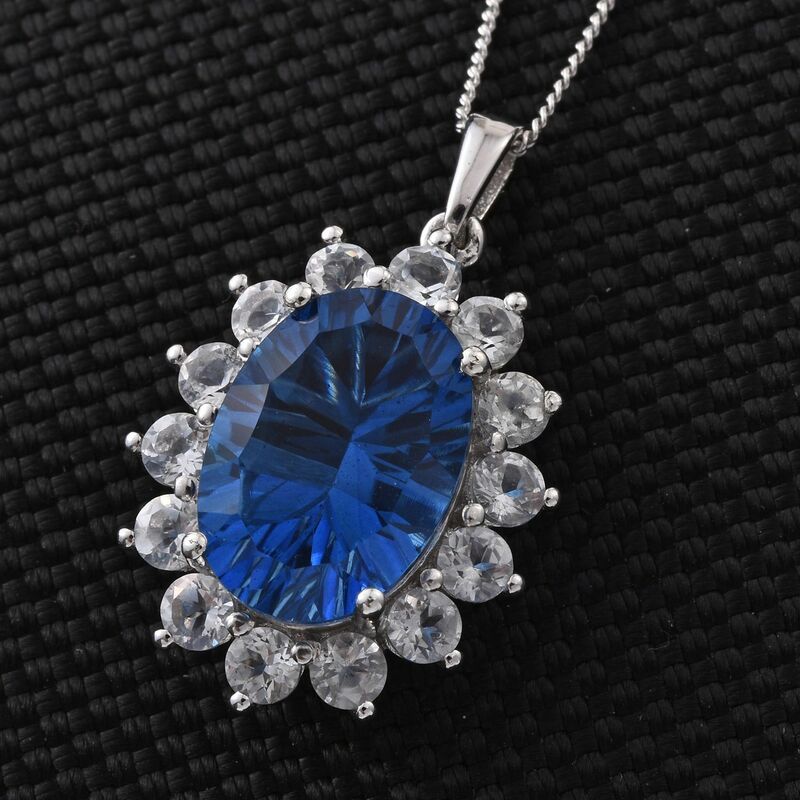 The gemstone’s blue color is the result of titanium impurities, and it’s very uncommon to find crystals larger than one carat. Discovered in the state during January of 1848, the precious metal lead to a rush, causing the population to immediately skyrocket. Thousands flocked to the state, and from 1850 to 1859 over 28,000,000 fine ounces were mined. Adjusted for today’s prices, this makes the gold found during that period worth about 10 billion dollars! The Golden State derives its nickname from the importance of this metal to its history, as much of its modern development arising from the population growth the gold rush brought on. California was the first state to designate a state rock. Serpentine was declared California’s state rock in 1965. Serpentine typically appears as a blue-green to green material and has long been favored as a material for gem use and carving. 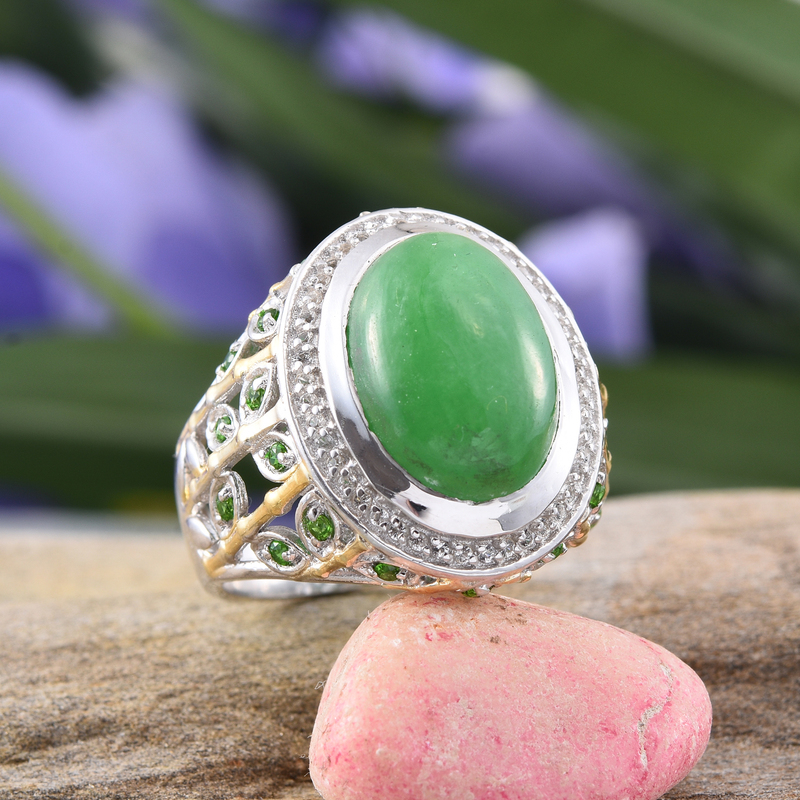 Due to its beauty and versatility, it has been used as a substitute for jade for centuries. Serpentine can also be found blended with other stones, such as Tasmanian stichtite. Colorado is known as “The Centennial State” and is famous for its vastly different landscapes. What’s also special about Colorado’s state symbols is that the state rock, minerals, and gemstone makes up the colors of the American flag. Learn more about aquamarine here! The word “aquamarine” comes from the Latin word “seawater.” The gem is a variety of the mineral called Beryl and is March’s birthstone and the 19th Wedding Anniversary gemstone. Though the gemstone is relatively small (a typical aquamarine goes up to 6cm or about 2.36 inches), the gem is extremely valuable as it is hard to find. The hunting season only lasts three months as the cold weather and the high elevation makes aquamarine a hard gem to find. The largest Rhodochrosite found in the world is called Alma King and is on display at the Denver Museum of Nature and Science. It was found in Alma, Park County. Before it was shut down, the Sweet Home Mine was the source of the finest Rhodochrosite around. Although the mineral is very fragile (it ranges from 3.5 to 4 on the Mohs scale), the deep red mineral represents the red color of the American flag. Before officially recognizing Rhodochrosite as the state mineral, Colorado had also considered gold and silver as well to honor the metals that grew their economy in the contemporary American history. After the Girl Scout Troop 357 of Lakewood’s petition to recognize the Yule Marble as the state rock, Colorado officially chose this marble to represent the white of the American flag. It was named after Yule Creek, where the rock was first found. This marble holds great significance in the preservation of American history as it was used in various iconic monuments such as the Lincoln Memorial, Washington Monument, Tomb of the Unknown Soldier and the basement of the Colorado Capitol. Today, Yule Marble is the favored sculpting marble as it is strong. While Connecticut is officially known as “The Constitution State”, it is also known as the Nutmeg State, the Provisions State, and the Land of Steady Habits state. Connecticut is known to have the highest per-capita income in the United States and is the third smallest state by area. 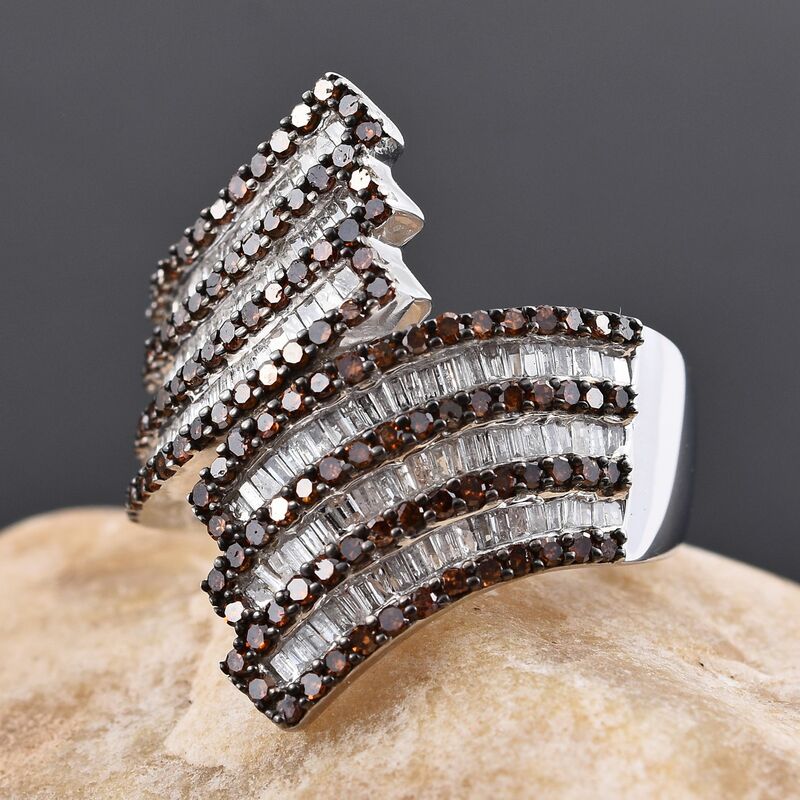 Although Connecticut does not have an official gemstone, almandine garnet is their official mineral! While Connecticut does not have an official gemstone, the state does have a long history of mining gems. Connecticut started mining in the 18th Century, garnets and tourmaline are two of the most popular native Connecticut gemstones. The gemstone danburite was first discovered in Connecticut and is named for the town of Danbury, where it was found. The first name given to the mineral was “garneta” when Albertus Magnus discovered the ancient mineral in the 13th Century. This abrasive mineral is ranked 7 on the Mohs scale and was largely responsible for Connecticut’s initial economic growth. For example, the mineral was used as the base for grinding wheels, saws and garnet paper (a variety of sandpaper). Today, the garnet is popularly used to make jewelry as it is January’s birthstone. While Connecticut does not have an official state rock, early settlers would use stones to build stone walls to create boundaries and dictate space. The two most commonly found rocks in Connecticut are gneiss and schist. Delaware is officially known as “The First State“, but also as the Small Wonder, Blue Hen State, and the Diamond State as its other nicknames. It was named after the Delaware River and boasts being one of America’s first 13 colonies. Staurolite is the state’s official mineral! Although Delaware is called “The Diamond State,” there is no diamonds found in the state. However, a few of the most common gems found in the state are garnet and sillimanite. This mineral is created at high temperatures (> 550˚C / 1022˚F) in aluminum-rich rocks. The mineral is special as it has a similar texture to wood. Since large masses of Staurolite can be found in Brandywine Springs, Delaware deemed it as the state mineral. Although there is no official Delaware state rock, volcanic rocks can be found throughout Delaware state. Basalt flows through Red Clay Valley, which gives it a really rich, dark-colored igneous rock. Other common rocks include gneiss and schist. Florida is named as “The Sunshine State” and boasts wonderful weather under the sun. Florida is also known for its large, diverse population that holds close to their roots. Although not naturally found in Florida, moonstone is the state’s gemstone! Although Florida does not have a state mineral, anhydrite, aragonite, and calcite are a few of the most common minerals found in Florida. More popular and highly valued minerals include quartz and zircon. 20-30 million years ago, polyps were small animals that combined their own carbon dioxide with lime in warm seawater to coral. It was found in the ancient ocean and is special to the state as Florida’s history is found in a physical rock. Georgia’s nickname includes “Peach South” and the “Empire State of the South.” Georgia was named after King George II of Great Britain and boasts a wide range of ecosystems. Quartz is Georgia’s state gemstone! Although quartz is deemed the second most abundant mineral on Earth, Georgia officials cited its “importance of heritage and industrial growth” in its history as reasons to be recognized as state gemstones in Georgia. The two particular quartz that Georgia recognizes is amethyst and rock crystal quartz. Staurolite is found in old crystalline rocks that are abundant in North Georgia. Staurolite crystals are also known as “Fairy Crosses” or “Fairy Stones” as it is believed to bring good luck to the wearer. Although Georgia does not have an official state rock, Georgia can find a variety of rocks that rock collectors love to collect. This includes limestone, sandstone, shale and other sedimentary rocks. Don’t see your state gemstone? Don’t worry! Find your state’s gemstone here.